Thus begins the movie In the Loop, a hysterical political farce about U.S. and U.K. relations, and how this simple comment escalates into a possible declaration of war. There are so many great lines, a ton of great insults, and some splendid profanities that you may need to see the movie a second time to make sure you heard it all (check out the brilliant trailer below for a sampling). And even though the film runs nearly two hours, you won’t even notice because the laughs come so fast and furious and thus, the movie moves pretty quickly. How many jokes are there? Well, if it’s any indication, there are two — TWO! — involving the movie I Heart Huckabees. 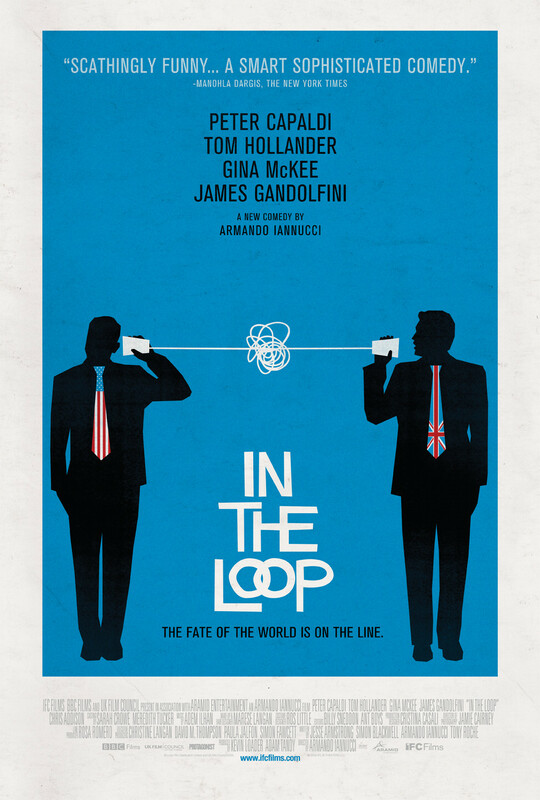 I love In the Loop, and I think I’ll be quoting from it for quite some time. It’s one of the smartest comedies to come along in a long while, and it’s definitely one of my favorite movies so far this year. Check it out for yourself. If you don’t, I may have to use you as a meat puppet. I’m giving In the Loop an A–. ← Just What America Needs?